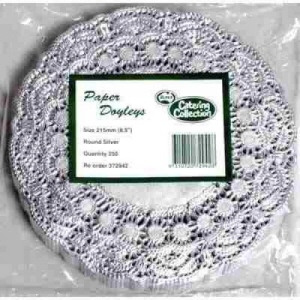 Paper Doyleys with 240mm diameter. 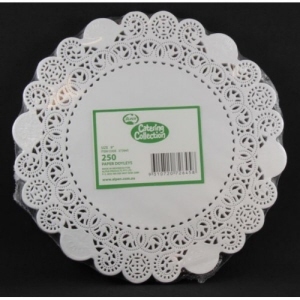 Pack of 250 x 8, 2000 Doyleys. Paper Doyleys with 102mm diameter. 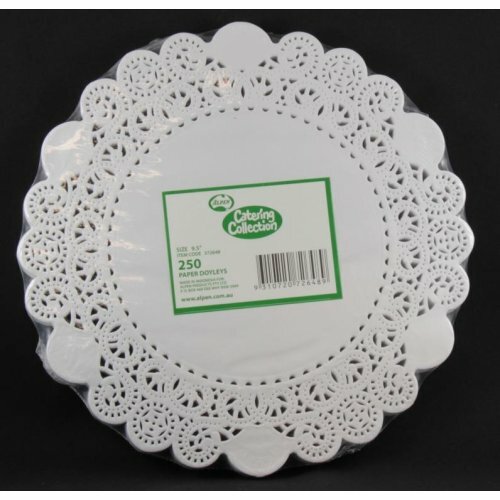 Pack of 250 x 8, 2000 Doyleys. Paper Doyleys with 228mm diameter. Pack of 250 x 8, 2000 Doyleys. Paper Doyleys Round with 216mm diameter. Pack of 250 Doyleys. 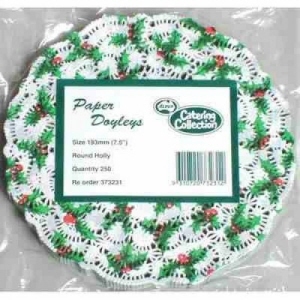 Paper Doyleys Round with Holly Design and 190mm diameter. Pack of 250 x 8, 2000 Doyleys.